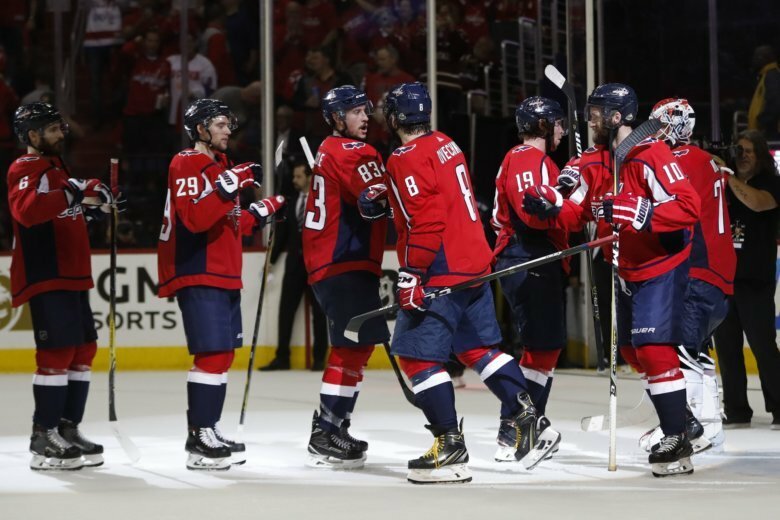 Before the puck drops tonight for Game 7 between the Capitals and Lightning in the East Final, take one more listen back, in montage form, at Washington's 3-0 win in Game 6. TAMPA BAY, Fla. — Before the puck drops tonight for Game 7 between the Washington Capitals and Tampa Bay Lightning in the Eastern Conference Final (8:00 p.m.; WFED 1500AM), we’re taking one more listen back at Washington’s 3-0 win in Game 6. Take a listen to the Ultimate Game 6 Highlight Montage courtesy the Capitals Radio Network. You’ll hear the highlights from Jonn Walton and Ken Sabourin on the Capitals’ side plus Sam Rosen with the call on Westwood One. You’ll also hear from Matt Niskanen, Jay Beagle, T.J. Oshie, Devante Smith-Pelly, Alex Ovechkin, Nicklas Backstrom and head coach Barry Trotz. A reminder to follow Capitals Radio on Twitter.